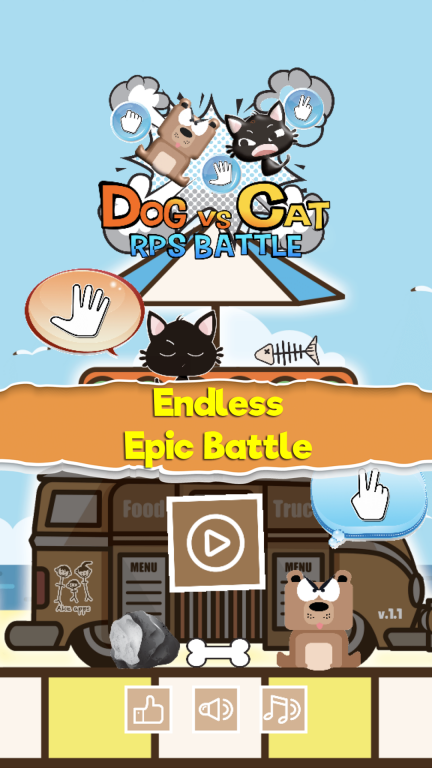 Dog vs Cat RPS Battle is an Epic Battle between a dog (you) and an angry cat. 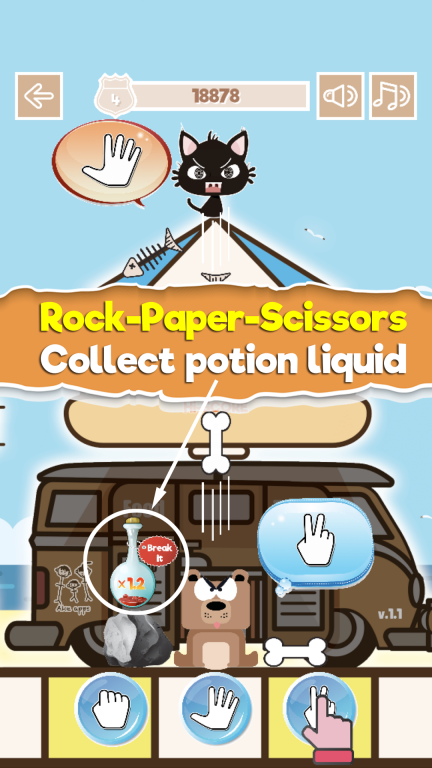 "An addicted Rock-Paper-Scissors game combined with cute Dog and Cat Battle" The angry cat never stops, so do you. 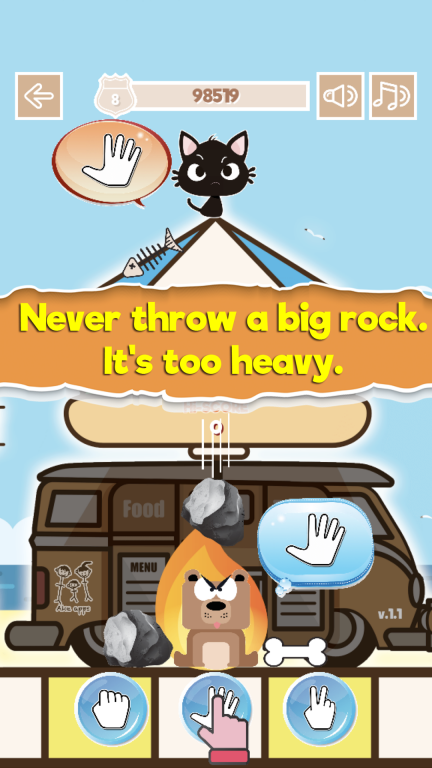 It throws a fishbone as soon as it tells you the chosen one (rock, paper or scissors). You'll have time to think just only a blink of an eye, and you'll have to choose either rock, paper, or scissors to respond. The dog will throw either a bone or a big rock depending on what you chosen. 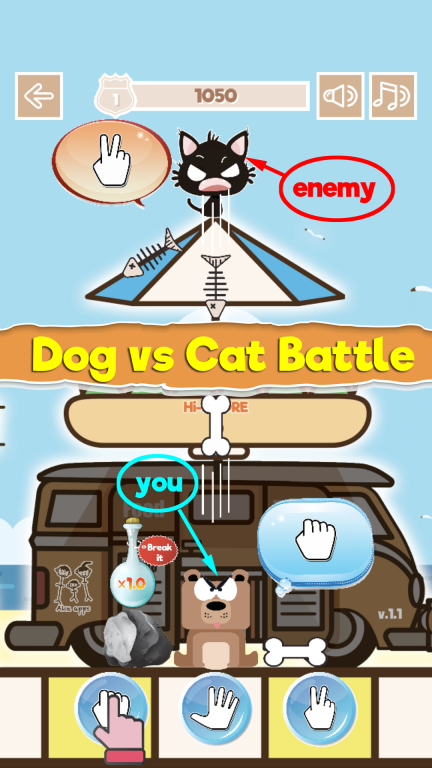 Dog and Cat Battle continues as long as you respond correctly and in time, otherwise the dog may get hurt. The quicker you respond the angry cat, the higher score you'll get. Do you see a bottle on the rock? 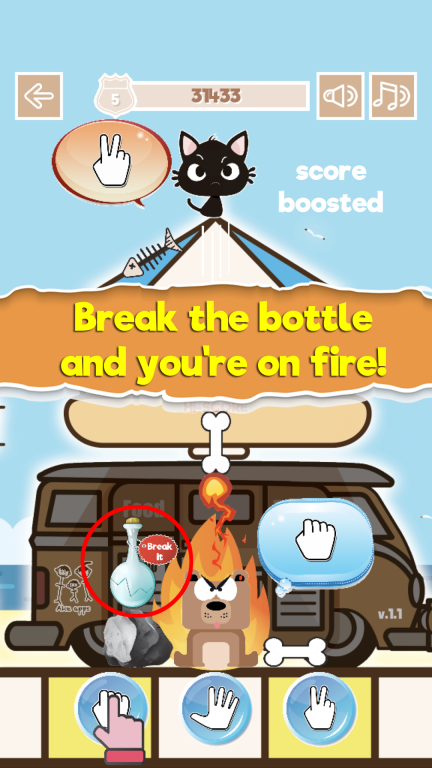 The potion liquid will be added to bottle as your level goes up. The number shown on the label is the rate of your score boosting if you break it. You'll get higher rate if you wait for higher level. But be careful, you'll lose it and have to start over if you lose the battle. Use it wisely.